When Should You Have Strut Replacement Done? What Is Done During a Strut Replacement? The shocks and struts in your car are part of the suspension, and they help protect your engine and the rest of your vehicle from the various bumps in the road. Although you can have individual struts replaces, typically you will find that both struts are replaced at the same time. To replace an individual strut, you are looking to pay anywhere from $133 and $439. To replace both the cost will usually be between $239 and $818. Your mechanic will likely recommend that your wheels be realigned as well when the struts are replaced. That’s because changing out the struts can alter your vehicle’s ride height, and you will need to have the wheels realigned to ensure it drives smoothly. We’ve collected some sample costs for having the struts replaced at some of the leading auto repair chains in the country. This will vary from location to location and will change depending on the kind of car you own, but they should give you an idea of what replacing the struts will cost. 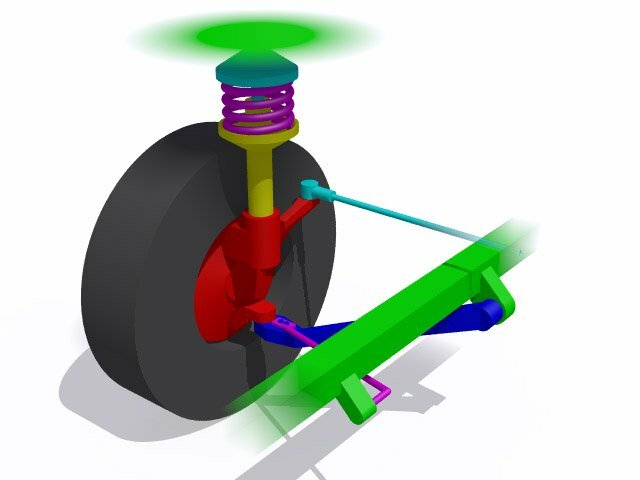 Struts are part of the suspension assembly in your car. 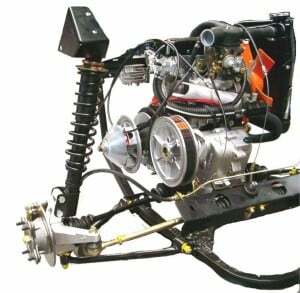 If you notice that your vehicle doesn’t bounce all over the road every time you hit a small bump, then you have your suspension assembly, and particularly your struts, to thank for that. But once those struts are blown, then you need to have them replaced. Struts are very small pieces of your vehicle, so you might not think that it would cost much to replace them. But these are incredibly important components of the car, and as such, they need to be of very high quality. Also, it is best if you replace your struts in pairs. If one is blown, then the one it is paired with is likely stressed. It is better to get them both replaced at once to avoid further problems down the road. It may cost quite a bit upfront, but you will save money in the long term. If your struts are blown, then you will likely notice a major difference once they are replaced. Your ride is going to be far less bumpy. Each small imperfection in the road won’t feel like a jolt anymore. You probably notice the difference in how your vehicle rides when you fill your tires with air comply. The difference once you replace the broken struts is far more pronounced. Replacing the struts doesn’t just make your vehicle ride smoother. It also ensures your vehicle and all its parts last longer. If your car is jolting from blown struts, then it will shake and wear down many of its components. The stress will be particularly severe on the suspension, so the sooner you have a strut replacement done, the better off your vehicle will be. It may be expensive to make the replacement, but you are going to save money when you look at the bigger picture. It is better to make those repairs soon, if possible, than to wait it out and hope nothing else goes wrong. Replacing your struts also takes care of some oil leaks and knocking noises and it greatly increases your ride quality. If your struts just recently blew, you can still drive your car around, but you do need to be careful about very bumpy or unpaved roads. Those are going to take a heavier toll on your vehicle and you. You should try to replace blown struts within a week or two. The faster you replace them, the less damage your vehicle will experience. You should also have your mechanic look over the struts at each checkup. Whenever you bring your vehicle in for repairs or have it serviced, make sure the service personnel are examining the struts. They can catch problems early and take care of them before they cause extensive damage to your vehicle. It’s not a big deal if you let your struts blow before you replace them, but you do need to be careful about how hard you are driving your vehicle before you have those struts replaced. Of course, if you wait too long to replace them, then you will see serious damage in your vehicle. You can actually replace the struts n your own if you know what to look for and how to do it. There are many guides online that can walk you through step by step. Here, you’ll get a little overview of what is involved with a strut replacement. The mechanic (or you) is going to start by taking off the wheels. They need to get them out of the way to get to the struts. Then they will have to take off the brake lien assembly. That’s because it is connected to the strut support system on most vehicles. A pinch bolt usually holds the strut in place. A breaker bar can be used to pry it off, though it can be taken off by other means as well if a breaker bar is not handy. The sway bar may also be in the way, so that will have to be dropped as well. From there, the bolts holding the struts in place can be loosened and removed. Then the struts can be taken out and replaced. The mechanic should put a little grease on the struts to keep them lubed up. After that is done, then all the pieces of the vehicle that were removed to get to the struts have to be put back in place. As mentioned, you can do the job yourself. It may take some time, and it can be dangerous to prop the vehicle up on a jack, but if you are careful and you have a good idea of what you are doing, you can take care of it on your own. Beyond that, there are not a lot of ways to save money on strut replacement. You should make sure that you replace them as soon as you can so you don’t damage the rest of your vehicle and cost yourself more money in repairs. You always want to avoid problems that escalate to envelop the whole vehicle, so make sure your mechanic is looking at the struts on a regular basis to see signs that they need replacement. Below are the costs to have a single or a double strut replacement done for some of the most popular cars in the country. This price may vary from garage to garage, but it will give you a rough idea for the parts and labor for your vehicle.